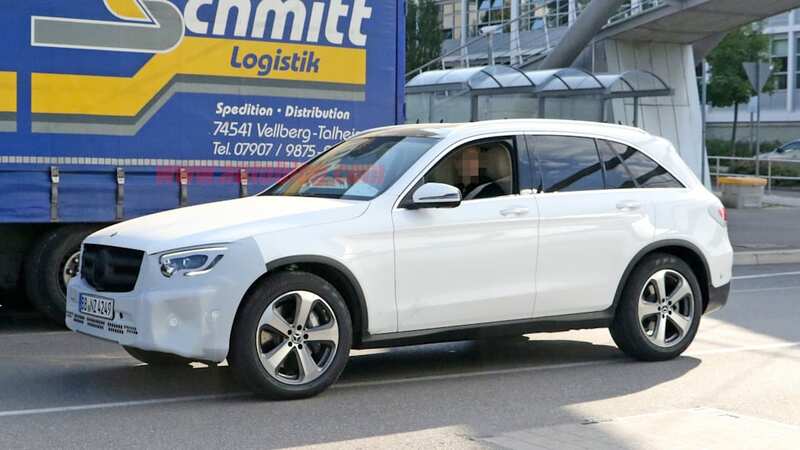 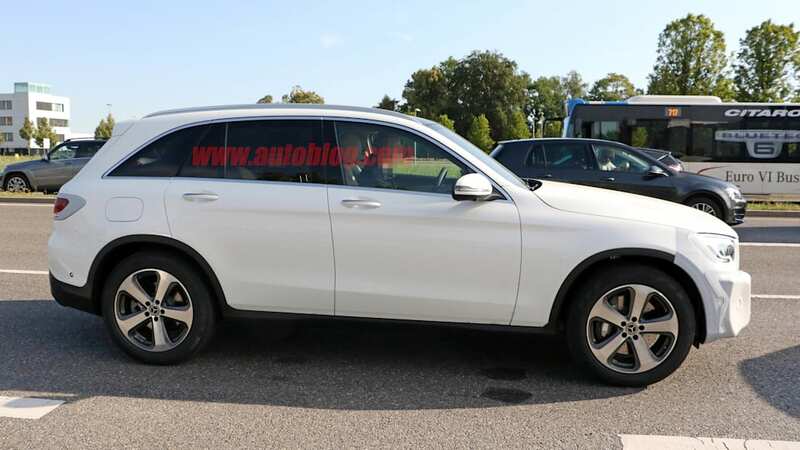 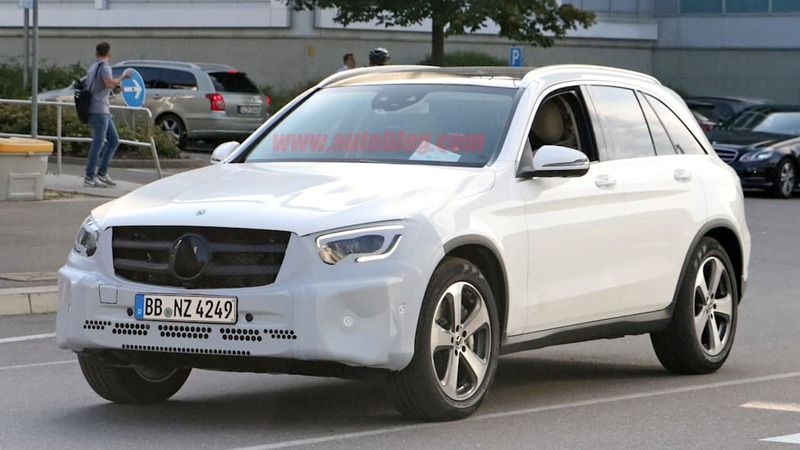 The current Mercedes-Benz GLC-Class was revealed about three years ago for the 2016 model year, so it's about time for a midcycle refresh, which Mercedes appears to be working on. 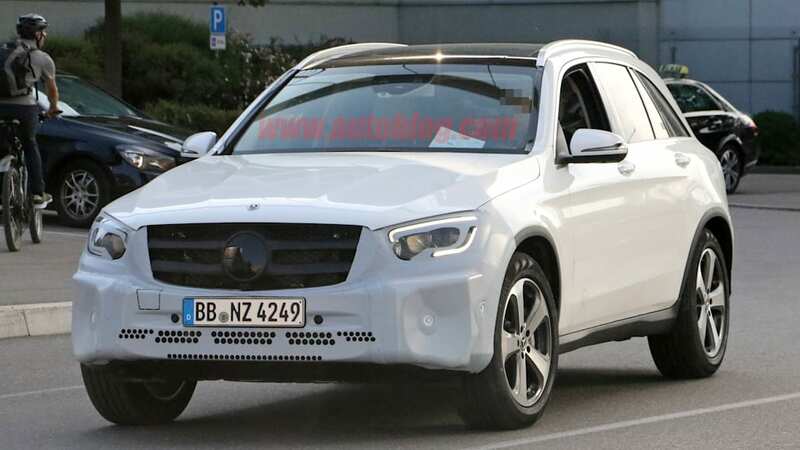 Spy photos reveal a lightly tweaked GLC luxury crossover SUV in testing. 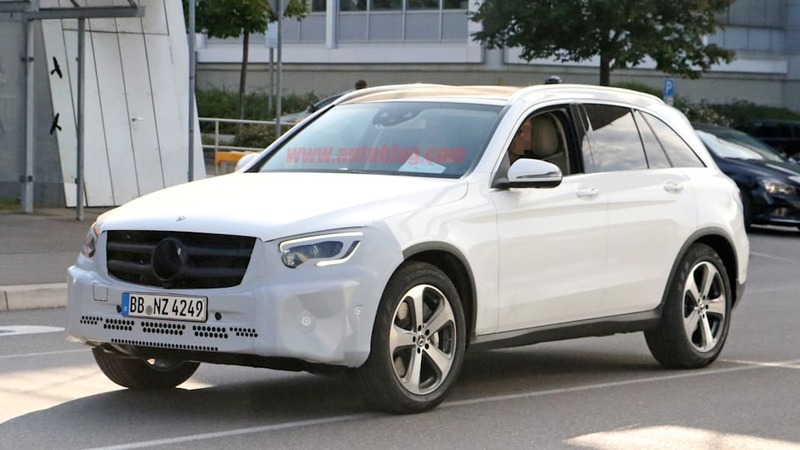 The main changes appear to be in the front fascia. 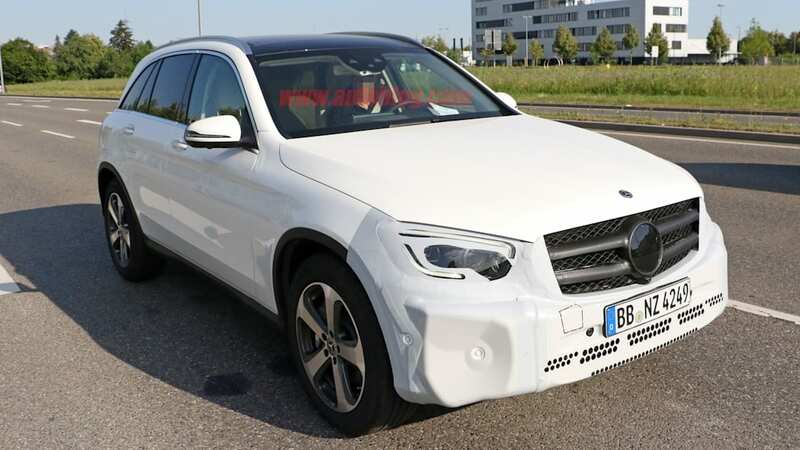 Up front, the most obvious change is in the headlights. 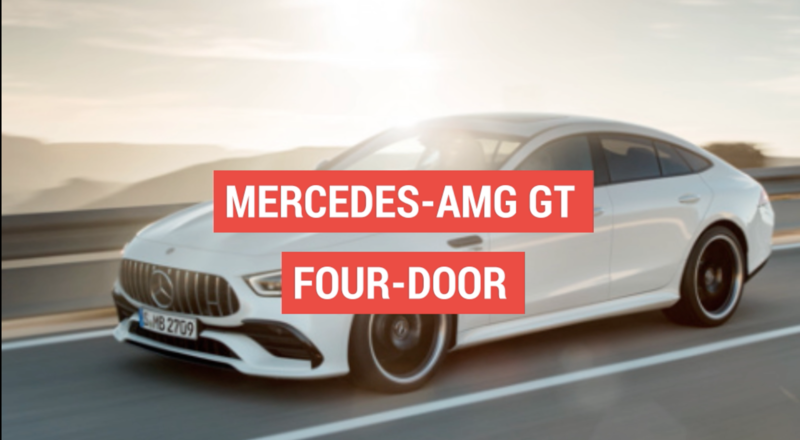 They have been changed to match the design set by the CLS-Class and AMG GT models. 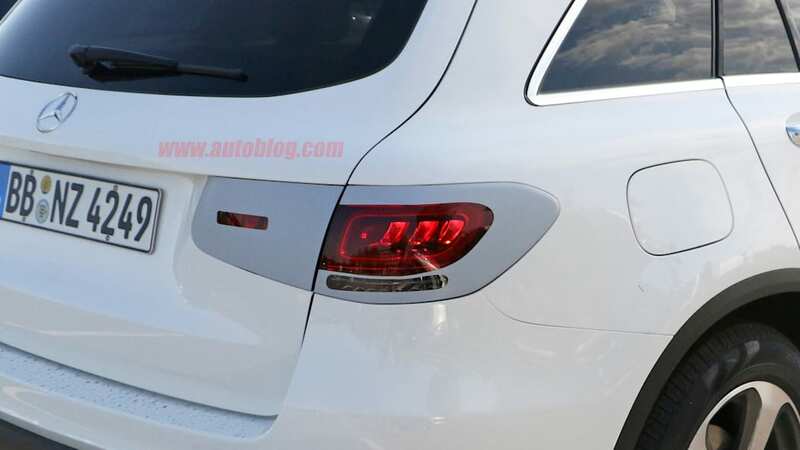 As such, the lower outside corners dip down, and the upper corners aren't as tall and upswept. 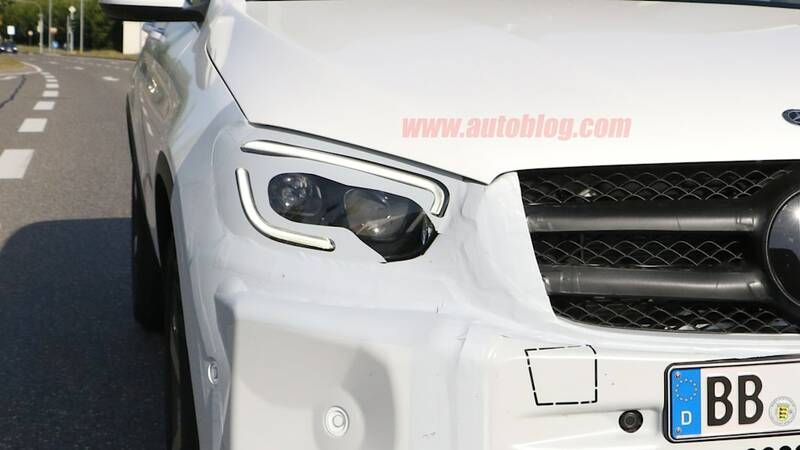 Looking closer also reveals that the grille has also been revised. 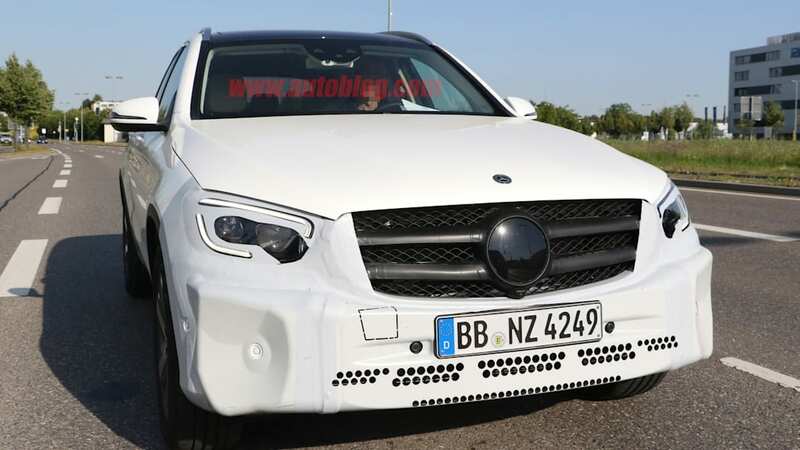 The bottom of the grille is a little smoother, and the outside corners have been stretched outward a bit. 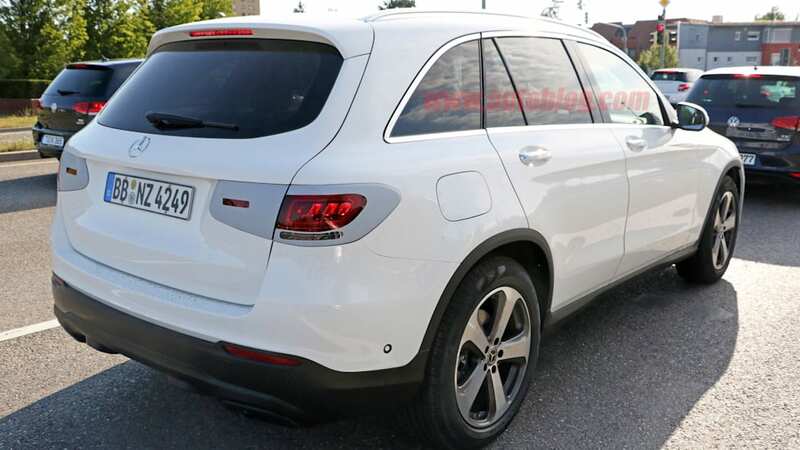 The rest of the car looks pretty much carryover. 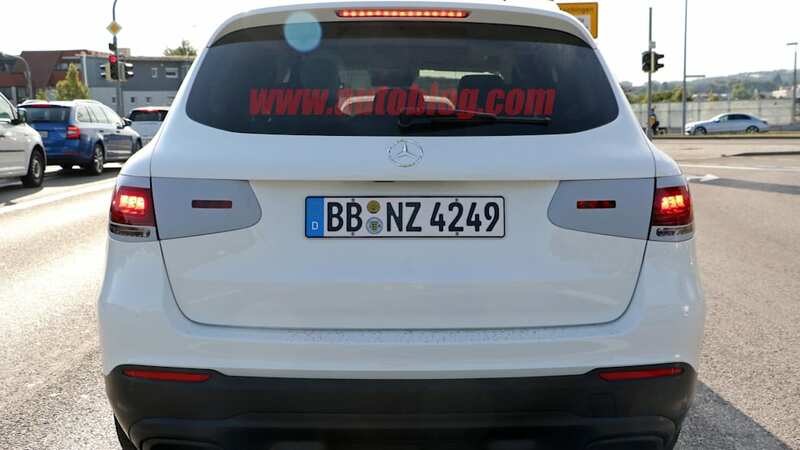 The taillights are covered up, which indicates that the lighting elements have likely been reworked, but any changes will be minimal. 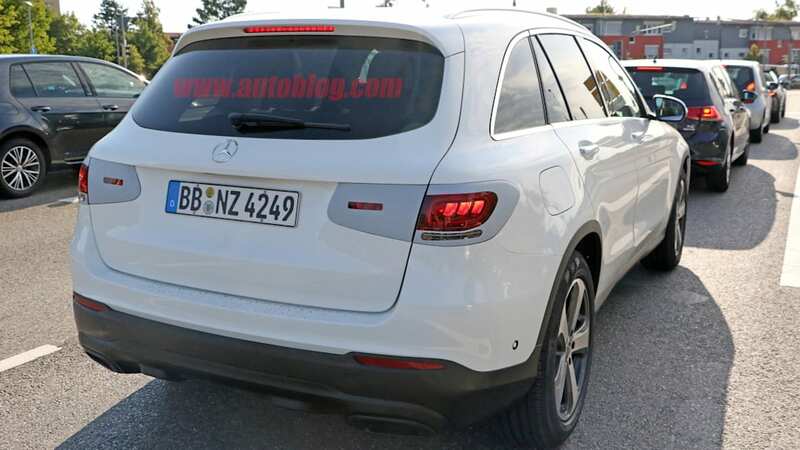 Otherwise, it's pretty much the same old GLC-Class. 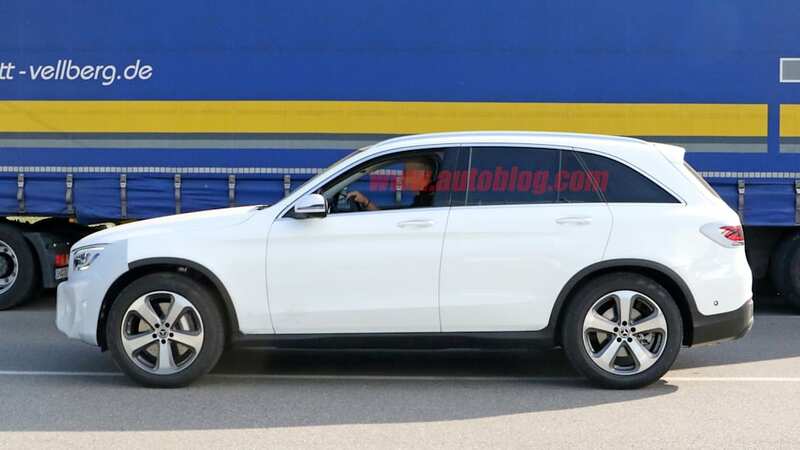 Considering how mild a refresh this is, we would expect it to be fully revealed within a year, likely in time for the 2019 model year. 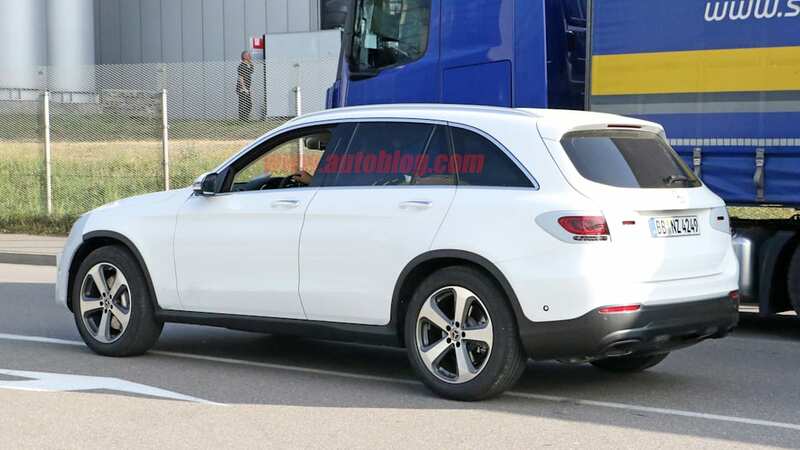 Engines will likely be carryover, which means the use of a turbocharged four-cylinder for the normal GLC300 models and the hybrid GLC350e. 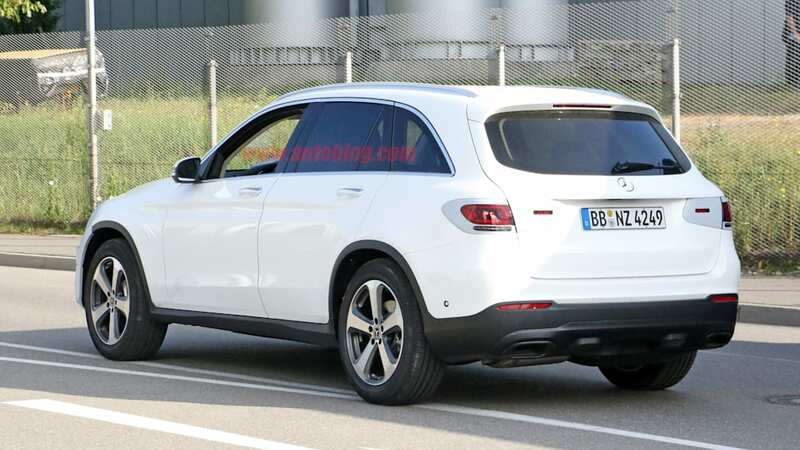 There will almost certainly still be an AMG GLC43 with a twin-turbo V6 and an AMG GLC63 with a twin-turbo V8, too.